Enjoy awesome cover art and the super authors, publishers and artists who made them possible for you to gaze upon this month and each month. 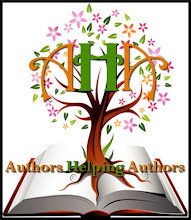 It would be great if you leave a comment letting everyone know what you think about them and maybe even check out a few author links to meet those behind the books. Or just say hi. Don’t forget to tell your friends to stop by so they can appreciate some greatness too! UnCover Mondays on The Ranch!!! This feature is only to highlight the authors and artists (though if you see one you want to buy I’m sure the authors won’t mind 😆 ). Enjoy this months’ covers to ogle and explore. If there is one provided, you can follow the artist links by clicking on the name, if there’s an artist link provided, to learn more about the amazing creators of these beautiful covers. If I have it, I link the cover to the artist, otherwise, it’s linked to the author. I think they deserve fair mention since they helped create the book! I wish everyone a fabulous new year in 2014! American privateer, Captain Jack isn’t really an American, but heir to a viscountcy. When his father dies, he leaves everything not entailed with the estate to his worthless cousin. Jack’s only hope of inheriting his mother’s ancestral home and honoring her dying wish is to marry and produce an heir before his thirty-fifth birthday—in five months. And he doesn’t have a single prospect. Pregnant and unwed, Abigale Halsey is sent by her father to an Anglican convent until he can find a family to adopt his grandchild or a husband for his daughter. Abby has other plans, but they go awry when she goes into labor early and her rescuer, a pirate captain turned lord, insists on marrying her. Is Jack too much like his jealous, unforgiving father? Can Abby overcome her fear of men and have a real marriage? Or will she never be anything more than the unwanted wife of a Slightly Noble Viscount? In the ninth-century, Irish warrior Connar fell hopelessly in love with Aisling, one of the Nine Sisters, a group of priestesses skilled in healing. When Aisling came to a tragic end, he used magic to travel to the future to reunite with her. But someone has followed Connar from the past, and they are determined to keep Allison and Connar apart. As Allison struggles with terrifying visions, she must learn to trust in a love that transcends even death. Winter on Galveston Island is a bevy of all types of weather. From gusty winds, Savanna Burke refers to as Male Gales, to a mixture of sleet, ice and once in a great while, snow. This winter, Savanna’s found the island winds are bringing change, for her and for Terence Whittaker, Galveston Island’s well-known clairvoyant. Come visit Galveston Island with Savanna during Christmas and find the wonder of Christmas on the Strand. Christmas on the Strand is the prequel to a series of cozy stories titled Southern Breezes. All the stories are set on Galveston Island, sharing the lives of a group of people who visited the island when they were young and have returned to claim it as their permanent home. Monica Mitchell flies all the way from Boston to Athens, Greece, not to get a tan but a very specific job. Because besides an MBA, this twenty-four-year old has a mission: to prove to Alex Argiros, the gorgeous Greek magnate, that she has now grown out of the habit of flashing her underwear and looking like a zombie flick castoff … in the presence of hundreds. The catch? She has to hide who she is. Thankfully, not having seen him since her early teens helps, and soon she gets all she wants and so much more. Not only does Alex not connect his highly qualified new assistant to the disaster magnate of his distant past, but apart from his admiration, he also offers her his heart. Now, Monica has a new mission: to keep it forever. But first she has to come clean before he finds out her connection to the bane of his existence. Because if he does, he’ll rightfully assume she plays the part of the Trojan Horse, and then he’ll shed the sleek businessman exterior, letting his hot-blooded Greek nature take over. She knows he could destroy her. Moira Brody knows Paul Webster better than he knows himself. But neither one of them know that he as in love with her as she is with him. These lifelong friends will have to look at each other with fresh eyes and brave hearts. Moira will take an epic leap of faith and Paul will take the ultimate risk–again. They’ll come full-circle, but there will be plenty of collateral damage along the way. And even the single-digit temperatures and snowcapped peaks of the Lake Tahoe winter are no match for their long-bridled desire. If love isn’t worth fighting for, what is? Love Howard has more than a knack for matchmaking. Born from a forbidden passion and a twelve-hundred-year-old promise, she and her sisters can literally see true love. And while Love has no problem bringing other couples together, her own romantic life could use a little help. Danton DeAngelo has always been well grounded in reality. So it throws him for no small loop when the woman he’s fallen for believes that she’s been reincarnated eleven times and can actually see true love. Now Danton is faced with the biggest decision of his life. Accept Love for who she really is, or walk away from her forever. After three thousand years as a mummy, Dawn awakened to a dangerous new reality where science and the supernatural collide. Her only ally is Jake Maxwell, a mysterious grad student with an unusual talent for evading bad guys. Dawn’s resurrection spells trouble and power for the scientists responsible, and they have no intention of letting her go without a fight. But as she flees with Jake, a shocking revelation about her newfound life rocks them both. While their enemies close in, they discover a fiery passion—and a bond deeper and stronger than time itself. But can they outrun the past before their future is shattered? Heat Level: 1 flame or sweet. Or outside a house to shine in the night. Does anyone really know where they originate? But really for a miracle? That they were for love, a desperate idea, to light a boy’s way home? In that case, you must have some questions. Have a seat. Allow me to tell you a story. 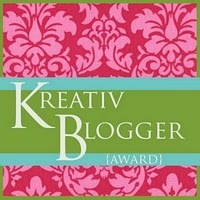 I want to thank all the authors who submit and make this a special place to share their work! † Special Note: Some covers might suggest more heat than the actual content of that book. Please take note of the heat level rate on those. Posted on 03/02/2015, in Book Covers, Branding, Cover artists, inspirations, Marketing, Pen of the Dreamer, Promotion, UnCover Mondays and tagged Angela Hayes, Anna Durand, Calisa Rhose, Call Down the Moon, Christmas Crush, Christmas on the Strand, Fate Accompli, Last Chance, Lattes and Mutants, Lilly Gayle, Loretta Wheeler, LOVE, Love's Battle, Martha O'Sullivan, Mary Gilgannon, Mickie Sherwood, MM Jaye, Pen of the Dreamer, Rachel Kosinski, Reborn to Burn, romance, Sandra Cox, slightly noble, The Christmas Lights, UnCover Mondays. Bookmark the permalink. 17 Comments. Thank you so much for including Fate Accompli in your awesome list. I’m letting everyone here know that in case anyone wishes to get a free Fate Accompli ebook (Clean or Spicy versions), leave a comment here, and I’ll contact you through Calisa. Thank you! 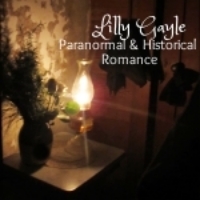 The reader will love reading SLIGHTLY NOBLE by Lilly Gayle. An amazing story of Captain Jack and Abby. If I could I would give this book ten stars! Thanks for putting this together. I can’t wait to check out some of the suggested books. I live in Houston so the one that takes place in Galveston intrigued me quite a bit! Oh, I’ve read Loretta’s books and she’s very good, Stacey! Thanks for sharin the cover for Slightly Tarnished today! I’m such a doofus! Slightly Tarnished released back in 2011! Thanks for posting the cover and blub for Slightly Noble. Guess that’s what I get for sneaking onto the internet at work and posting on my phone while on a “bathroom” break. lol! Thanks so much for hosting me, Calisa. There are some beautiful covers here! I agree Boji! You’re so welcome. As always, a great group of covers. Congrats to all the authors! Thanks for your continued support, Mae!